Alphabetic tips and tricks on English language usage. 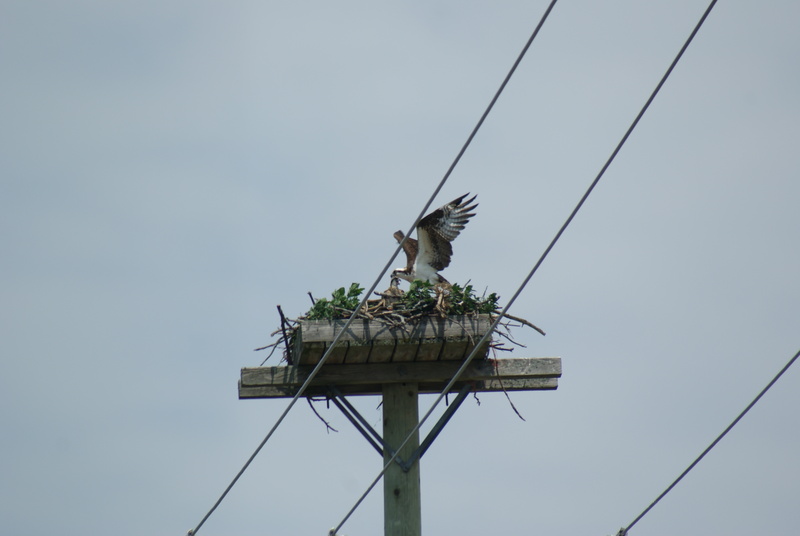 This osprey is nesting on a hydro pole right next to a minor highway south of Peterborough, Ontario, Canada. Or is a conjunction used to denote one of two alternatives or the last of a list of alternatives. In this way, the word or may also express some uncertainty. In the case of either…or, you are presented with only two alternatives. Either we eat now or after the play ends. Either do your chores or else you are grounded. He was working either in his office or at the library. For an expression using whether…or, you are presented with a conditional phrase or an indirect question. We have to go, whether it is raining or not. Call your friend and ask him whether or not it is raining there. The word or may indicate a synonym. The word ought is an auxiliary verb, originally a past participle of the verb, to owe, but now used only with other verbs in the infinitive. It indicates obligation or duty, advisability or prudence, and is less vexing than should. We ought to leave now. He ought to have thought of that. She ought not to have eaten so much. Choose a book or newspaper to work with. Find sentences that include the conjunction or and figure out the exact meaning. Substitute should for ought and consider how the meaning of a sentence changes. Read through the list of “Confusing O Words”. Check the pronunciation of each word. Any surprises? Note: This blog post is an excerpt from a book, “English Manual: Letter by Letter,” to be published in the summer of 2015.